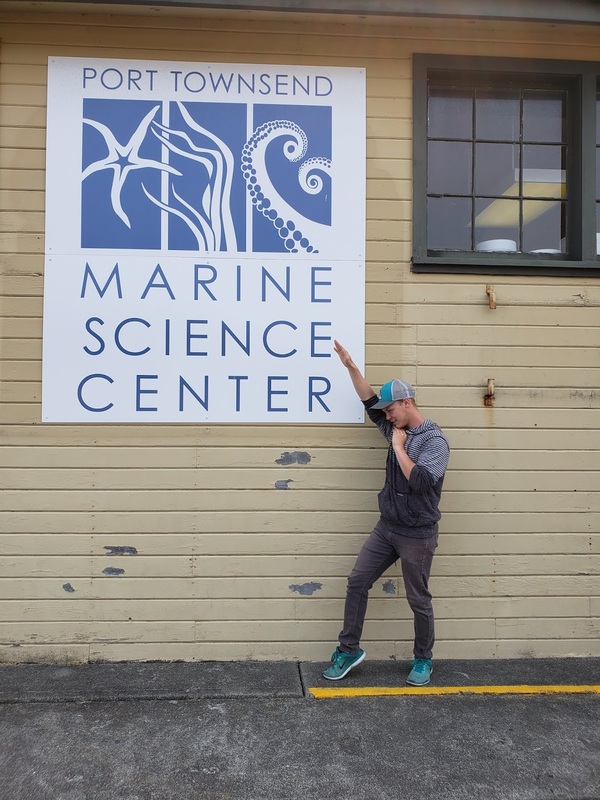 PTMSC Blog : Three Fascinating Things! The first fascinating thing I’d like to mention was a bit unexpected. When I used to think of a sea slug, I pictured something ugly and didn’t think much of it. Now my whole world has been changed since I’ve been introduced to nudibranchs. friendly at last weeks low tide walk. They are the most wonderful creatures! I can’t believe the colors they can exhibit and the designs they have. 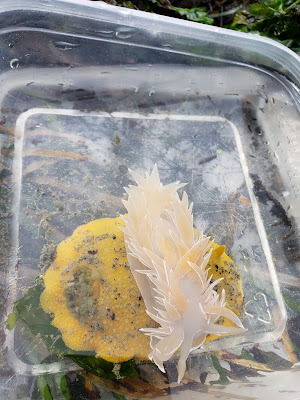 One of my favorite things from this year was seeing random nudibranchs wash into the tanks. We have an open flow system at PTMSC, so seawater is brought up from below the pier and circulated back down. This allows for unexpected visitors to make the tanks their home. 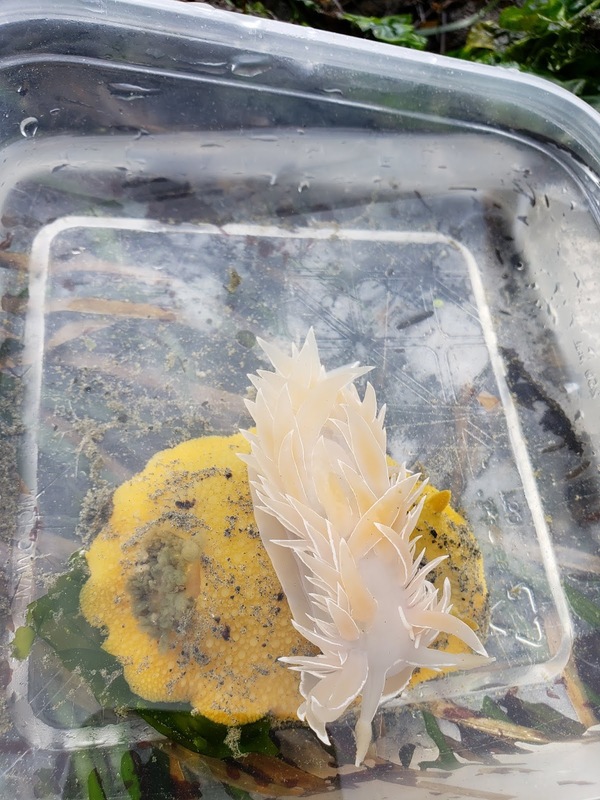 Some species that come in frequently are alabaster nudibranchs, opalescent nudibranchs, Monterey sea lemons, and barnacle-eating nudibranchs. Who would have thought something as simple a sea slug would be so amazing. The second fascinating thing is the magnificent tides that happen in this part of the world. In the Salish Sea, we have mixed diurnal tides. This means we have two highs and two lows a day of unequal height. I remember my first couple weeks living out here, I’d go to North Beach and try and walk down it without looking at a tide chart beforehand. Some days I’d get lucky and it would be a huge beach to explore. Other days there was hardly any room to walk at all. I learned very fast that keeping a tide chart handy is necessary. Now I frequently try and plan around the tides to discover creatures in the tide pools (and maybe even find new nudibranchs). One last picture with the sign as an AmeriCorps. The third fascinating thing was being a part of the visitor experience. As I mentioned earlier, I have been learning as I’ve been teaching. The visitors ask some seriously interesting questions and I don’t always know the answers. This helps me broaden my knowledge. One instance in particular sticks out to me. A local visitor came to the Aquarium and we went through the whole exhibit together. Toward the end of the visit she told me she learned more about the marine environment that day then she had her whole life -- and she’s always lived next to the ocean! That was super rewarding for me to hear because me coming from the Midwest with limited knowledge myself, I never expected I’d be able to give someone local so much information about their home. Many more amazing things have happened this year it would take too long to write about it all. I’m sad my service is coming to an end, but I’m grateful that I was chosen to be a part of PTMSC’s team. Written by James Swanson, AmeriCorps Citizen Science Educator.